I often wonder where the fine line between business promotion and spamming is drawn on the various social networking medias? On Facebook I will see numerous links by the same people day in and day out. Some of the links are not even explained as to what they are and the same goes for Twitter. Do these daily posting actually bring in business or are they an irritant to the people who receive them? The reason I am asking this is, on Facebook they only allow so many post of friends to be in your newsfeed but I have learned some folks are hiding some of their friends post. Rainmaker wrote a post Are you a Facebook Friend Who Gets Hidden. I think her post is well written and does bring up a valid point. Where is the fine line of intrusion vs respectable business practice? At one point I considered advertising on Facebook but after learning they limit the amount of post one sees, I decided it would only be helping Facebook business and not my own. Like anyone of us who owns a business, of course we want to display our products to a large number of customers. Although I have to say, I have been guilty of tossing out unwanted advertisements that arrived in my mailbox almost daily. I have caller ID to avert the telemarkers from calling all hours of the day and night. So how is social media networking any different than what we ourselves do not want? Is there a formula, a specific calculation that makes our business more desirable than others? Or, do we just risk having ourselves hidden from, Fans, Followers, or Friends by sending post daily marketing our products? I have come to the conclusion I must be living in a time warp. By recently listing my wares on Etsy, I have been bombarded with a plethora of new Social Media avenues I have been told I need in order to shine on Etsy. I have been told about Stumbleupon and learning about this has my head spinning. Kaboodle, I have the account, now what? There is a Tumblr and the list goes on. Today, I had a nice lady, I believe in Turkey, who put me in her Treasury on Etsy. Okay, what does a Treasury do and how does one go about having a Treasury? She tried to help me but when I went to Etsy and saw their Treasury link information, it was kind of confusing, well for me anyway. LOL!!! She had included my picture frame in her Green Treasury. Correct me if I am wrong, but lets say I am feeling the color puce today, then can I create a reddist brown Treasury? LOL!!! Okay, then how do I find all the rest of the puce items on Etsy? What I did not realize until now, she did not include a green item of her own, wonder why? I guess I will have to check the library for the Etsy for Dummies book. Wonder if Donald Trump sell on Etsy, I am sure he would have a go to guy if he did. LOL!!! 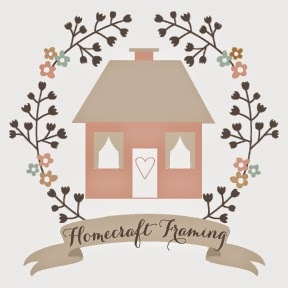 My shop on Etsy is Homecraft Framing and Gifts ,would you be kind enough to take a look and let me know if I am doing something wrong or even right? Not quite frost on the pumpkin yet but it is right around the corner. I love to walk through the neighborhood in the evening and look at all of the Halloween decorations. One would think it is Christmas with all the lights and outdoor decorations on display. So I was inspired to create Halloween picture frames with mats. I like the gothic purple of the Halloween skull picture frame and the slimey lime green of the scary vampire bat Halloween picture frame. If you are looking for a spooky picture frame to showcase your ghoulie, ghostie or scary beastie, have I got the frame for you? You can either find these Halloween frames on my website at Homecraft Framing or Homecraft Framing on Etsy . I would like to thank all of the folks who have given me advice on how to do the shipping on Etsy, I appreciate your kindness. Happy Fall Y'all! I have had my Etsy account since last November but only listed one thing because I cannot for the life of me figure out the international shipping. I listed three things last night and put the shipping for the USA only, because I am not sure what Etsy is asking me to do. It is kind of time consuming to figure out the shipping for each country and some of the countries I am not even sure about, non-the-less figuring the cost to ship to them. Am I making this harder than it should be? More than likely the answer is yes. LOL!!! Another thing I am concerned about is, I also will list picture frames and I am concern about breakage being shipped overseas. I pack items well but I do not know how well my picture frames will travel to another country. I have never had a problem with Canada but they operate pretty much like the USPS anyway.